The German Shepherd found on Evesham Rd has been reunited with his owners. Thanks for all of your help! 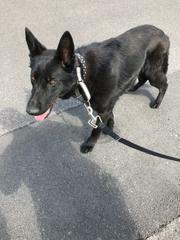 This German Shepherd with a black & silver studded collar was found in the area of Evesham & Warren. Please call us at 856-428-5400 if you know the owner.